Size of this preview: 450 × 600 pixels. Other resolutions: 180 × 240 pixels | 1,300 × 1,733 pixels. 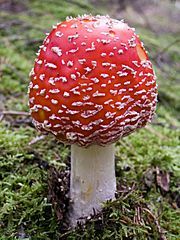 Description: Image of an Amanita muscaria specimen, photographed in southern Sweden. 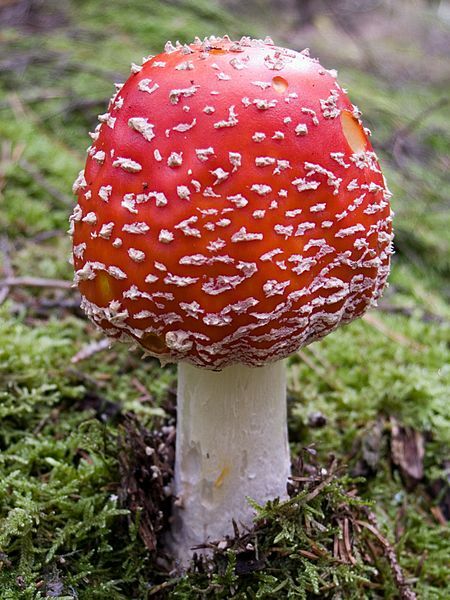 Created by David Remahl, 2005-09-20, 11:31 CEST in en:Landvetter, en:Sweden. Workflow: The image was taken using a digital Olympus C-7070 Wide Zoom camera (RAW). Developed from ORF RAW using Adobe Camera Raw Converted to sRGB color space Saved for Web, embedding the ICC profile, scaling down using bicubic sharper The original ORF or DNG image is available from the author on request (since Commons does not support high-quality source material). Please reference P9200135.ORF. Author: No machine-readable author provided. Chmod007 assumed (based on copyright claims). This page was last modified on 21 February 2017, at 11:43.